Adult, gray morph Common Pauraque (Nyctidromus albicollis) of the subspecies N. a. merrilli. 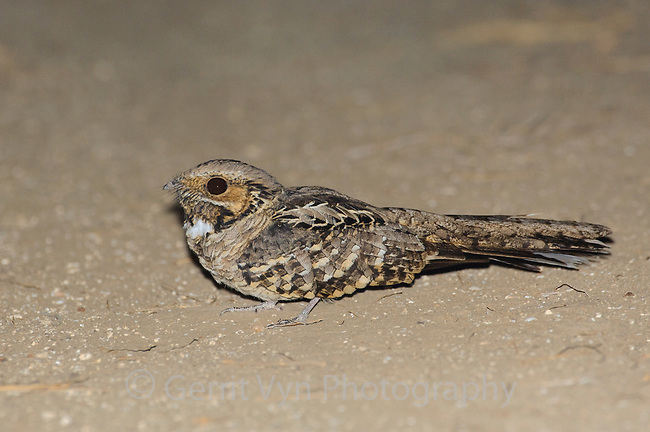 These birds are often seen perched on dirt roads at night. Starr County, Texas. March.